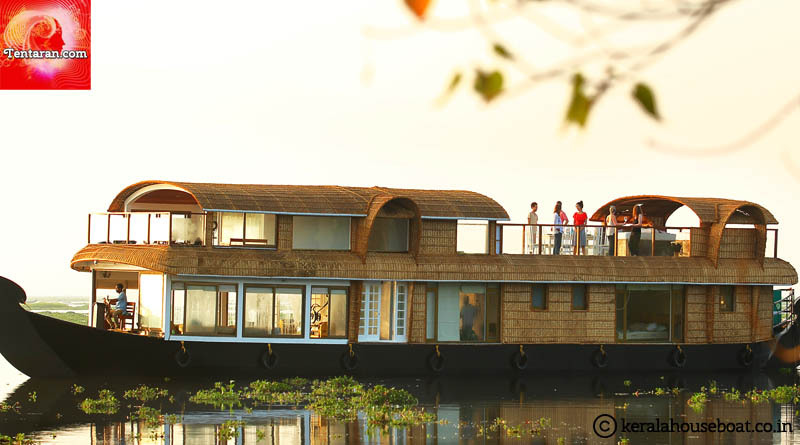 You can hire a houseboat from Alleppey or Kumarakom. Though a large number of backwater tours start from Alleppey. The tour can be for Alleppey to Alleppey or Alleppey to Kumarakom or Kumarakom to Alleppey or Alleppey-Alumkadavu. Book the houseboat either with a reliable and experienced tour operator or directly with the Company which owns the houseboat. You will find houseboats in different categories – Deluxe, Premium and Luxury. Choose one depending on your budget. Air conditioning in Deluxe houseboat runs from around 9pm till 6am. 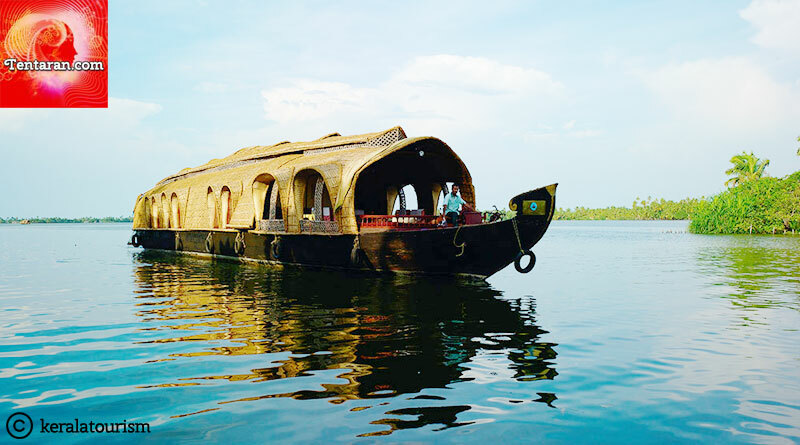 Premium and Luxury houseboats run air-conditioning as per guest’s preference. All houseboats serve a non-alcoholic welcome drink, lunch, evening snacks, dinner and breakfast the next morning before departure. Check in time for most of the houseboats is 12noon and checkout is 9/10am. During the day, houseboat is parked for about an hour for lunch break. As per the State Government notification, all houseboats go stationery from 5.30/6pm till 7am the next day. Most of the houseboats have Kitchen, balcony, bedrooms with A/c, a separate living room and a dining area. TV is also provided in the rooms but don’t expect too many channels. Food is prepared by the cooks on the houseboat. You generally get the option of both vegetarian and non-veg dishes which includes fish and chicken. If you want to enjoy some specific dish, do inform the Company/tour operator before hand as it’s not feasible for them to stop anywhere in between to buy ingredients. Do carry a mosquito repellent. 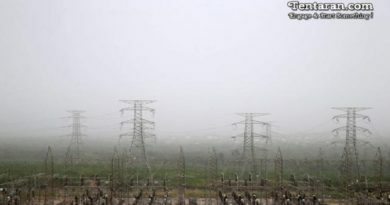 Most important thing to remember is that you are going to enjoy nature and will be in the middle of a huge lake and may not get all the comforts of a hotel. But the experience that you will have in a houseboat will give you memories to cherish lifelong. If you still have any questions or need any help with the houseboat for Kerala backwaters, do comment and we shall be glad to assist you. And yes, do share the article if you like it.